It was the night Country to Country got the line up right. Not that the Saturday of two years ago didn’t make an equally as compelling case, but Sunday this year had four artists brimming with contemporary class and highly charged with making music the right way. Each act purveys their craft from a different direction, yet is successful in meeting at the point where country music drives deep through your pores. The debate of credibility will rage on and an air of subjectivity will always prevail, but from the pool of consolidated talent to select their artists, the decision to schedule Eric Church, Kacey Musgraves, Chris Stapleton and Andrew Combs was one from a smart perspective.This proved to be the finale of a festival which for the first time was extended to three days and probably achieved a desired objective of reaching across the spectrum of modern country music. 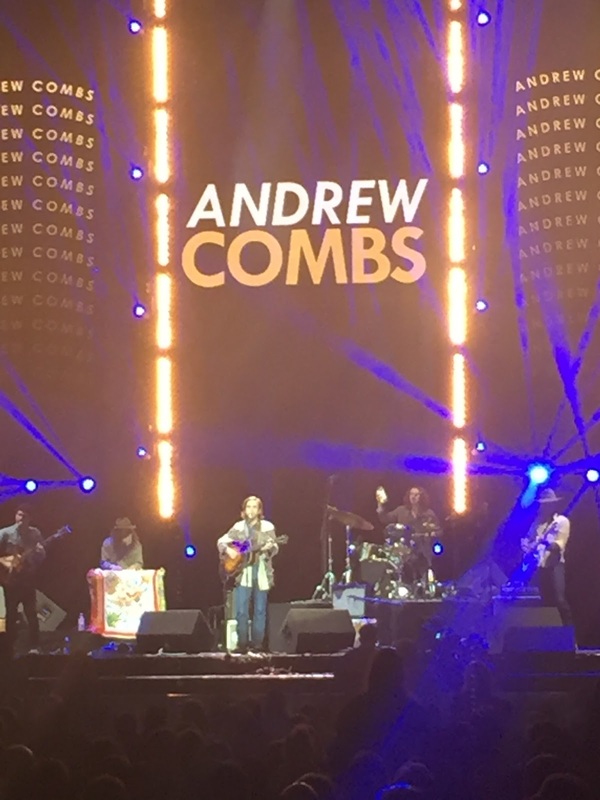 The left field decision to secure the services of Andrew Combs was by far the most eye opening event of the festival’s four years. Was this the ultimate reach out to a community thriving outside the cut throat world of the major label? Of course the world outside the Music Row bubble is thriving and respect must be paid to the organisers for recognising that. Maybe for half an hour on this late Sunday afternoon, the ever widening gulf between mainstream country music and that burgeoning state of mind known as Americana did reverse the trend. From a quality angle there was no doubt that Andrew Combs and his band would rise to the challenge of this much bloated platform. It was certainly a long way from catching Andrew play a duo show eighteen months ago in an upstairs Birmingham pub. It was also a big coup for UK indie label Loose Music to see a Nashville based artist they have nurtured over here flourish in the company of so many active music consumers. Hopefully the latest album ALL THESE DREAMS will get a timely re-boost and if folks new to Andrew had one abiding memory, it surely had to be the catchy ‘Emily’ being spelt around the UK’s premier concert venue. The irony of this stellar billing can be traced back to last November and the evening of the CMAs. 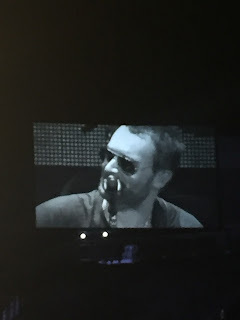 More on the marketing stunt by Eric Church later, but who was to know that Chris Stapleton was to take the industry by the scruff of the neck and threaten Music Row revolution. To prove that the incredible response to his debut album TRAVELLER was no throwaway reactionary act, Chris extended this insurgence to a totally captivated London arena crowd. The reception awarded a performer seemingly let off the leash of penning contrived hits was apparently unprecedented in festival history. The set up on the stage was probably about as minimalist as you will get at C2C, but when you’ve got the voice, guitar and extraordinary ability to extract the depth of a song then why water down your talent. The added spice was Chris’s wife Morgane sharing the vocal spotlight and nearly stealing the set with a powerful, spiritual version of ‘You are My Sunshine’. Needless to say it was the songs of that album, smugly in my possession now for over nine months, which defined the magical moment of this all too short display of gut wrenching country soul and blues. The standing ovation only begins to convey the emotion that emanated around the arena and if ever there was a time to wallow in the proverbial theme of whiskey you couldn’t choose a more opportune moment. How on earth was Kacey Musgraves going to follow Chris Stapleton after that set? The answer wasn’t to compete and from the floor the lighter delivery did take a few songs to adjust to. However Kacey hasn’t built up a crusading reputation for courting acclaim from both the inner sanctum of country music and the wider roots world without having the nous to deliver outstanding sets. As soon as these adjusting songs were out of the way, the arena was well and truly under the spell of the Rhinestone Revue. Parody or not, the deluge of smart songs successfully link the generations, many possessing excellent hooks and providing countless opportunities for audience sing back. 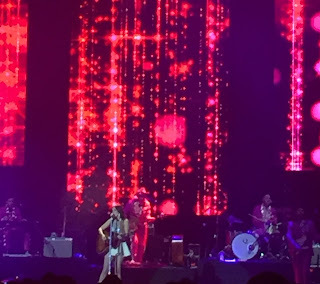 This was a performance where pedal steel guitar holds its own, with Kacey effortlessly swinging between breezy modest tempo numbers and enticing ballads. The latter was pristinely presented in the guise of ‘Fine’ and ‘It is What It is’ showing the depth of her two successful major albums to date. For me the golden moment delivered by the girl from Golden Texas, was an awe-inspiring stripped back version of the modern social classic ‘Merry Go Round’. My three Kacey gigs have progressed from academy to large hall to arena. Although it is tough to replicate the connection as the capacities rise, Kacey continues to excel and hugely impress. After deliberation the unbelievable conclusion can now be drawn that this set in the O2 Arena outshone the Royal Albert Hall show last November, strange but true! 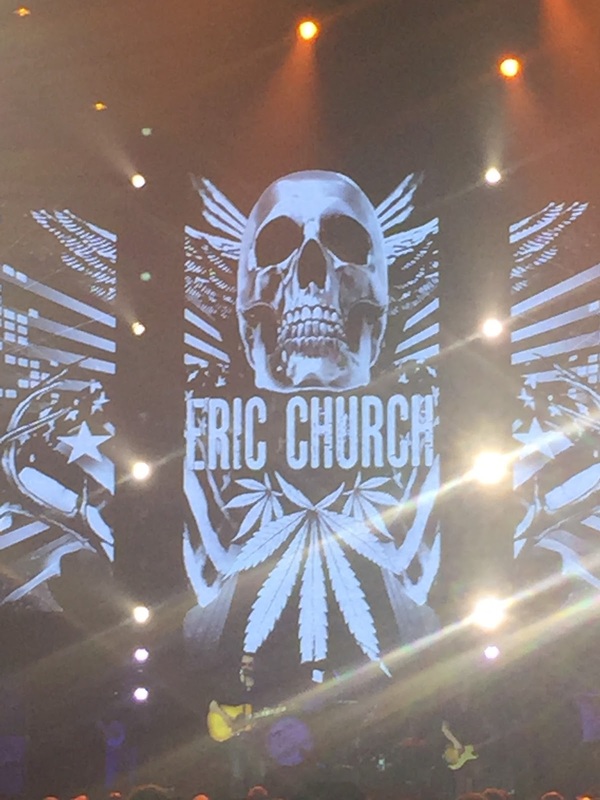 Eric Church is a curious artist and often tricky to pinpoint. Amongst the brash rock ‘n’ roll persona and sound there is a significant strand of country influence. Views range from an outsider to someone who rebels from within, yet all surfacing from a backdrop of a blossoming back catalogue that is rife with gems. 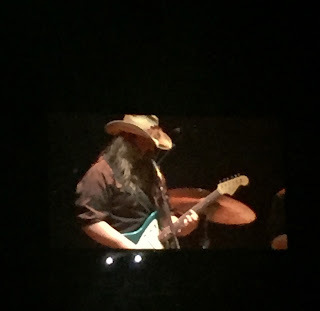 The latest release was interestingly sprung upon a music industry free of any pre-sale hype on CMA day, only to get swallowed up by the equally as surprising Chris Stapleton explosion. Leaping straight to the present and the glory of this excellent album introspectively titled MR MISUNDERSTOOD was revealed from song #1 on this headline set, ‘The Knives of New Orleans’. The following hour and half saw Eric and his comprehensive band in fully functioning mode, swaying between the raucous (‘That’s Damn Rock ‘n’ Roll’), the nostalgic (‘Talladega’), the inviting (‘These Boots’) and the poignant (‘Give Me Back My Hometown’). A slightly under the weather Eric was not going to let this final date of a European tour dampen the performance and non-believers were surely scarce by the time ‘Springsteen’ raised the roof. Eric Church is an artist that rewards those who file down his line. Maybe this line does run close to boundaries and debate will never be too far away. My belief in Eric Church was strengthened by this arena show and it upstaged the gig he played in Manchester a couple of years ago. During this four hour spectacle of American roots music, the stature of all four artists grew in my estimation. Maybe it pushed away from the country core in places, but still retained the utmost performing quality, band excellence and faith in the fulfilling medium of song. Despite the solidity and experience of the acts scheduled for this closing night, cases can be made that all have their best recording years ahead of them. Inevitably their directions will differ, but the joy of seeing them in a panache-filled procession has been sealed in the memory vaults. Can Country to Country Festival from a realistic personal standpoint improve on the four timer line up of Andrew Combs, Chris Stapleton, Kacey Musgraves and Eric Church? Theoretically yes, but practically from their chosen pool and desire to feast on modern trends probably not. However let’s finish by basking in the limelight of a special night where the ideals of the organisers matched mine.